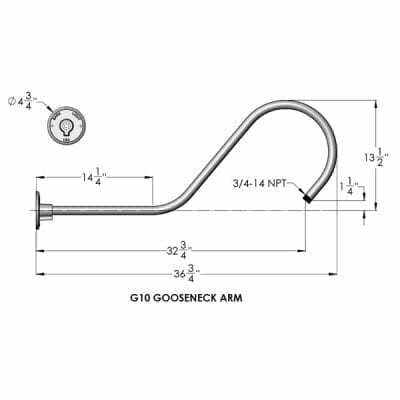 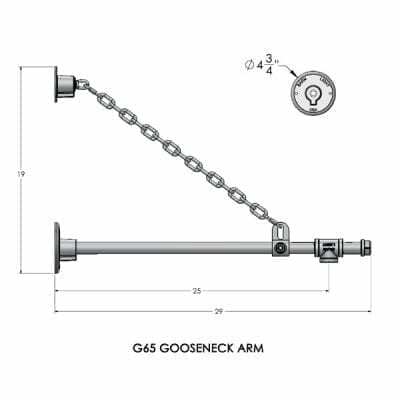 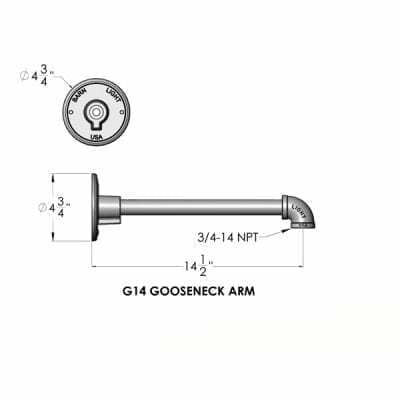 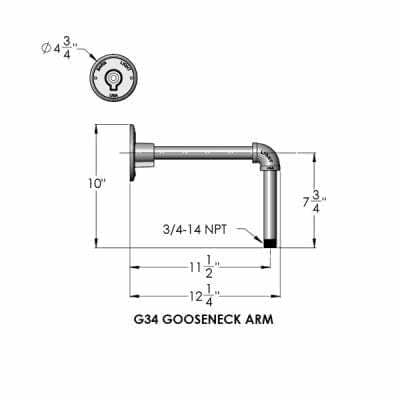 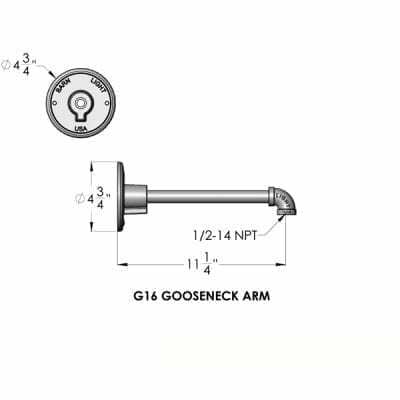 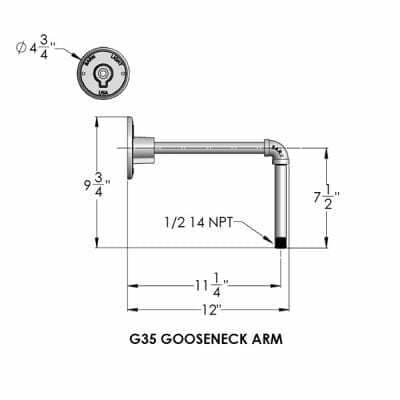 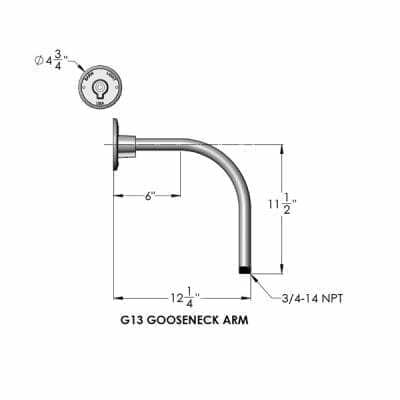 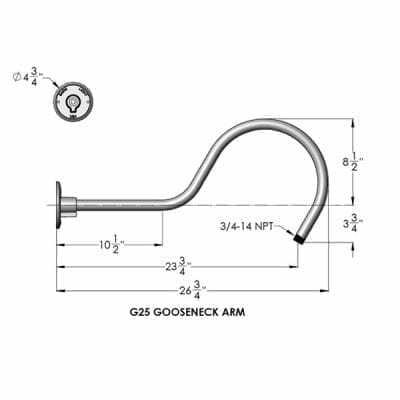 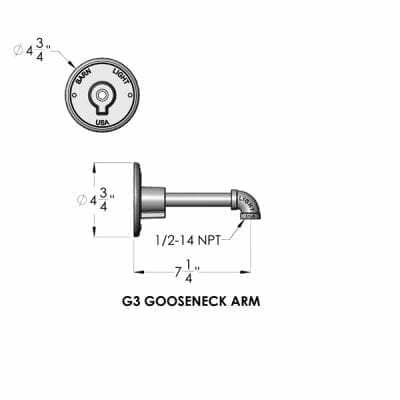 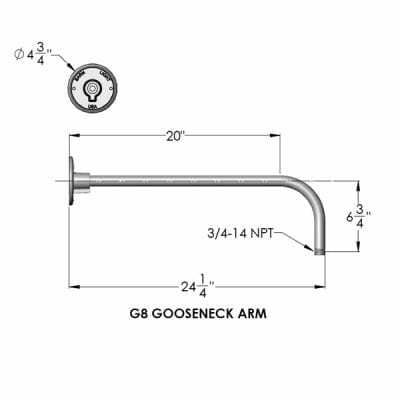 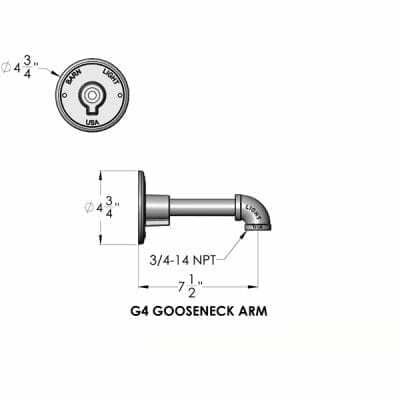 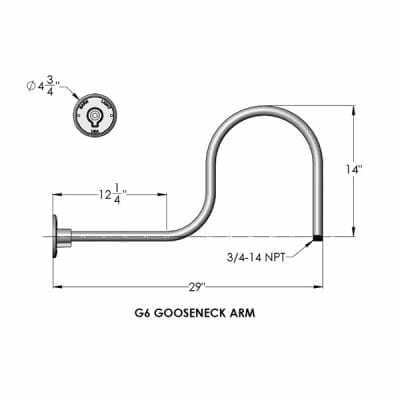 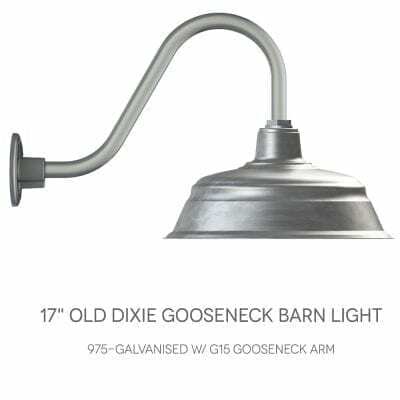 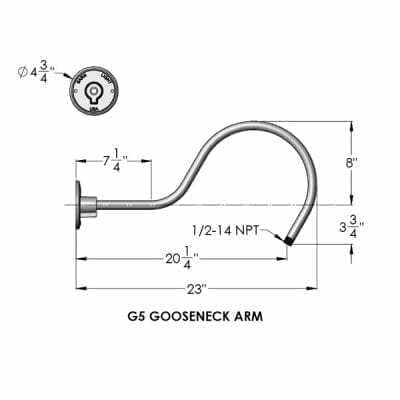 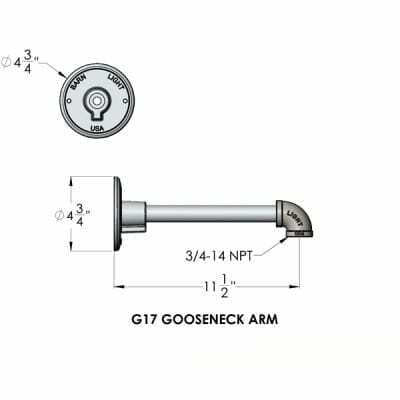 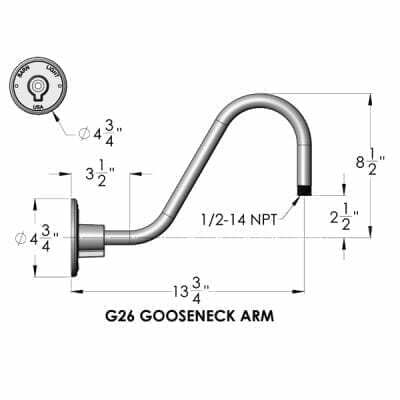 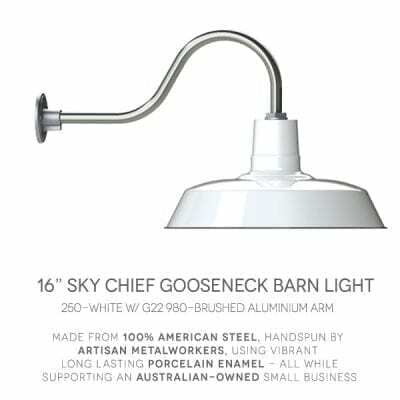 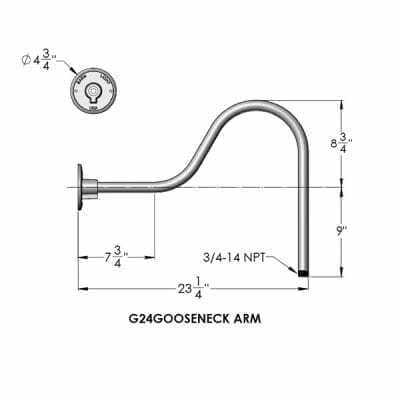 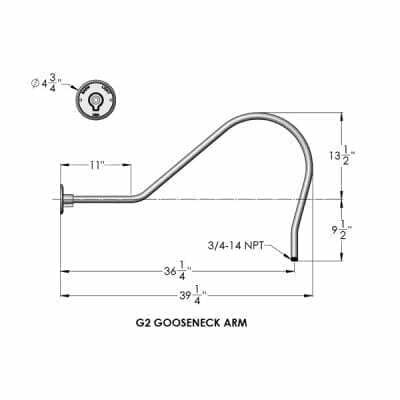 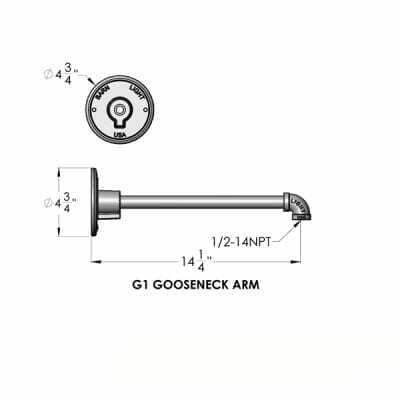 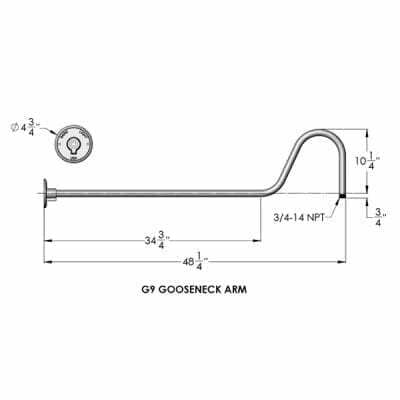 Goosenecks will be made available on a per-purchase basis. 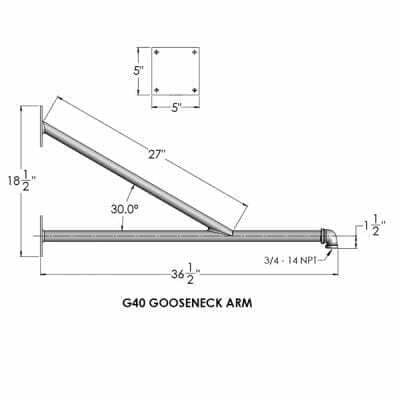 Bend radii and specifications may change in the foreseeable future once our engineers have confirmed production capabilities. 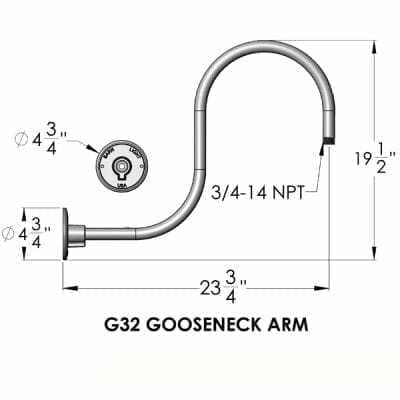 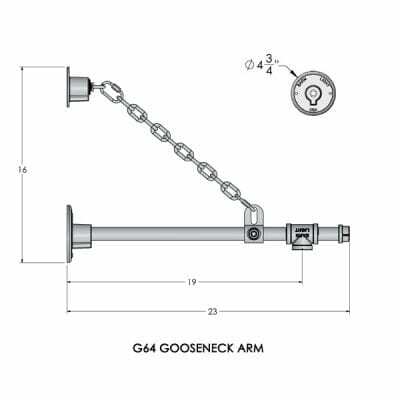 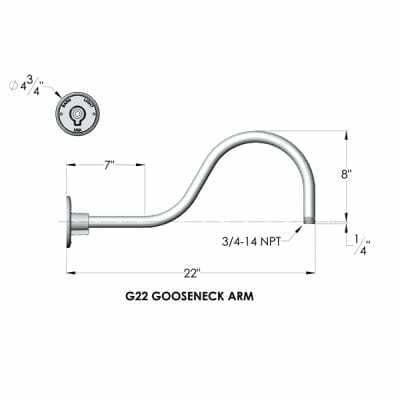 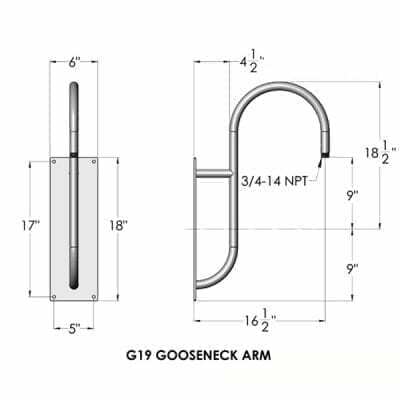 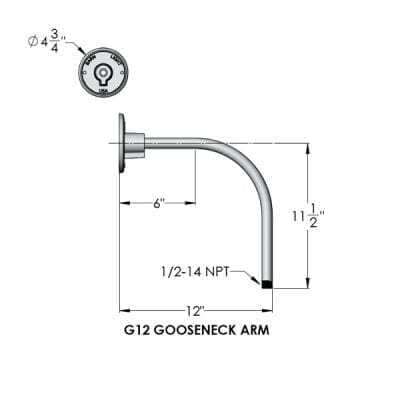 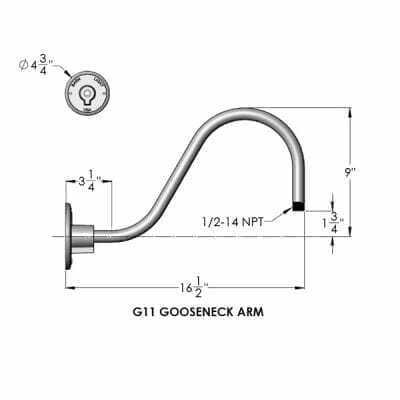 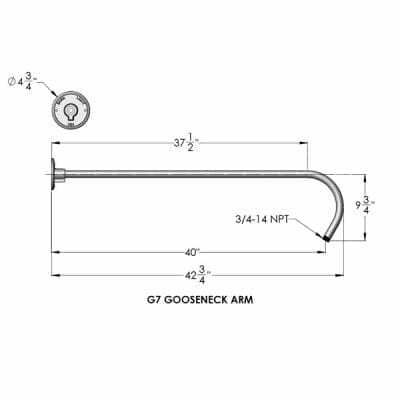 We intend to make every effort to maintain the profile/style of the gooseneck rather than conform to the document specifications shown here. 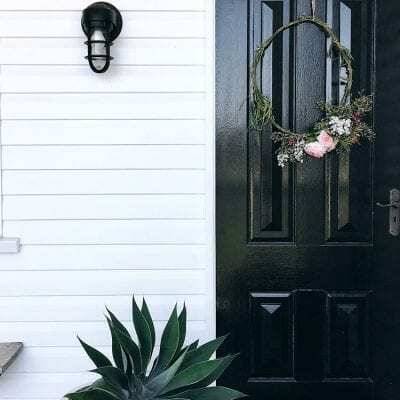 Any questions – Contact us! 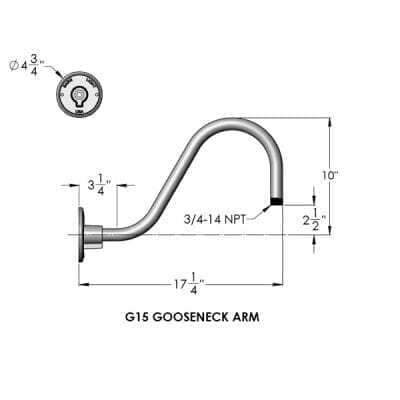 Specifying these in a schedule – PLEASE CONTACT US before doing so!